RIDE OUT T SHIRT AVAILABLE IN ALL SIZES SO YOU CAN CHOOSE TO WEAR IT OVER OR UNDER YOUR BIKER GEAR. £3 FROM THE SALE OF EVERY T SHIRT WILL BE GOING TO THE BRITISH HEART FOUNDATION. RIDE OUT T SHIRT AVAILABLE IN ALL SIZES SO YOU CAN CHOOSE TO WEAR IT OVER OR UNDER YOUR BIKER GEAR. 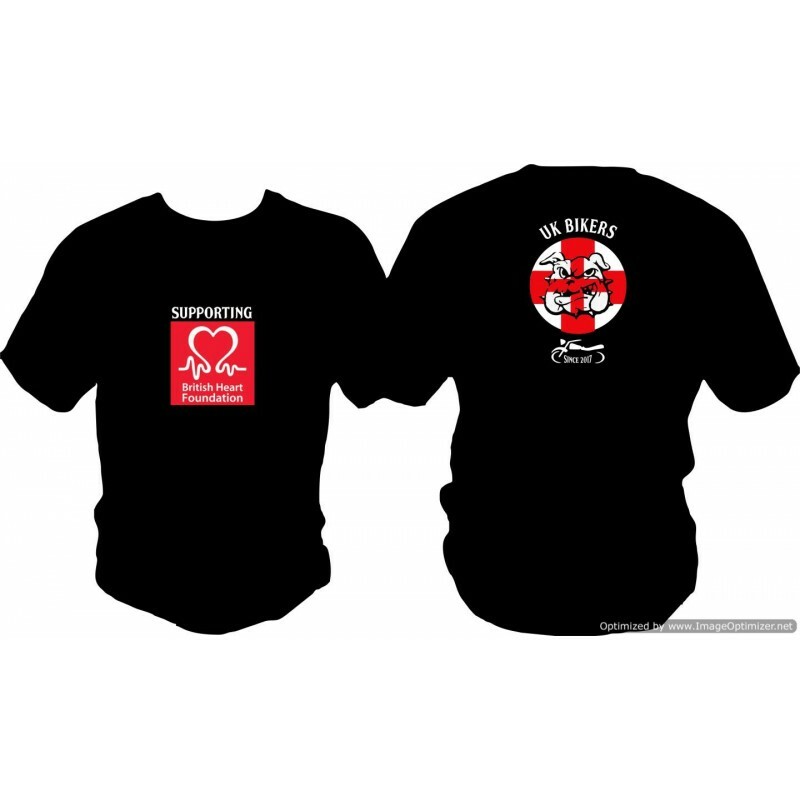 THE SHIRTS HAVE 2 COLOUR PRINTING ON THE FRONT FOR THE BHF LOGO AND AGAIN ON THE BACK FOR THE STRIKING BULLDOG LOGO. £3 FROM THE SALE OF EVERY T SHIRT WILL BE GOING TO THE BRITISH HEART FOUNDATION.